Many long time locals refer to Grayton Beach as the heart, soul & beginning of 30A as indeed it was the first beach town. Woven into the fabric of Grayton Beach real estate for sale is a rich and colorful history where the town’s motto is “Nice Dogs, Friendly People”. This artsy, funky, truly genuine 30A beach town has retained much of its charm with narrow oak lined streets, retro style beach cottages and bungalows. 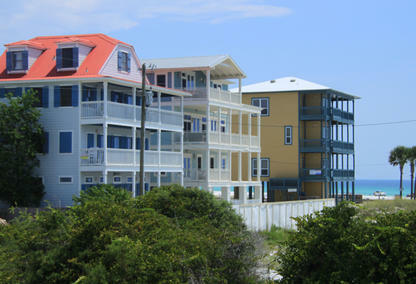 For those who are want more modern beach homes, Grayton offers that too! BOOKMARK YOUR DREAM HOME IN GRAYTON BEACH TODAY! Generations of families have been coming to this idyllic coastal oasis to spend their summers for many years even back to an era when nothing existed here except narrow winding sand trails, tiny beach bungalows and high rolling dunes covered in scrub oak and sea oats. Another one of the town's mottos is: “Nice Dogs, Strange People”. This artsy, funky and truly genuine beach town has retained much of its charm throughout the years. Its narrow oak-lined streets feature retro-style beach cottages and bungalows. Woven into the fabric of Grayton Beach is a rich and colorful history; over the last fifteen years with the rise in popularity, Grayton Beach homes for sale have reluctantly given way to an increasing number of spacious, modern luxury beach homes. Grayton Beach State Park, a pristine 2,000 acre, beach front preserve named as “America’s Most Beautiful Beach”. 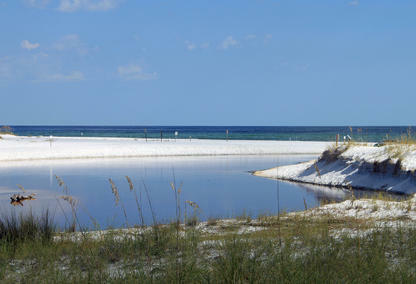 Western Lake, one of 30A's rare coastal dune lakes is located within Grayton Beach. Western Lake Pine Canopy graces its shoreline and is undoubtedly one of the most photographed, and painted iconic landmarks along all of scenic Highway 30A. The small town has a vibrant arts community. Home of the highly popular gathering spot: "The Red Bar" which at one time served as a general store for the town. Town was named for Army Major, Charles T. Gray who built a homestead here in the late 1800s. 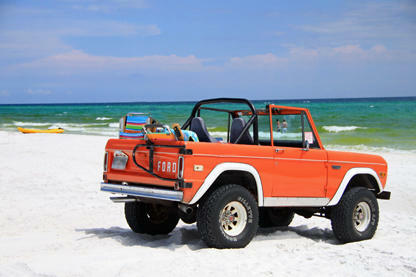 Please contact us to learn more about the homes for sale in Grayton Beach, FL or any of the communities along NW Florida's iconic 30A coastline! Davis Properties of Northwest Florida is your local real estate solution; you can trust their expert local advice and vast experience!